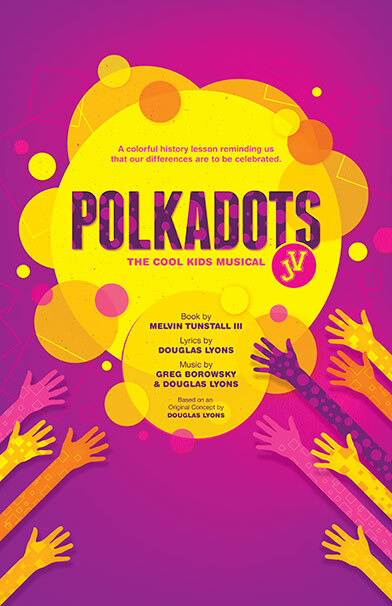 Polkadots: The Cool Kids Musical follows 8-year-old Lily Polkadot who just moved to the “Squares Only” small town of Rockaway. As the first Polkadot in an all Square school, Lily faces an almost impossible task of gaining acceptance from her peers. From daily bullying to segregated drinking fountains, Lily’s quest seems hopeless until she meets Sky, a shy Square boy whose curiosity for her unique polkadot skin blooms into an unexpected pal-ship. Inspired by the events of The Little Rock 9, Polkadots serves as a colorful history lesson for children, reminding them that our individual differences make us awesome, not outcasts. An 8-year-old girl whose skin is completely covered in polkadots. She's the new kid in town and the only one of her kind. She's polite, talented and extremely intelligent. An 8-year-old boy whose skin is completely covered in squares. He lives in a world of video games and is secretly captivated by Lily Polkadot. He's the shy, but curious brother of Penelope. A 9-year-old girl whose skin is completely covered in squares. She's strongly against mixing Polkadot & Square people. She's overly confident, brassy, and loves the limelight. She is also Sky's older sister. A woman in her 30's-40's. Ms. Square is the 3rd grade teacher at Rockville Elementary. She's caring, rational and motherly. Sky and Penelope's mother. It should be obvious where Penelope gets her brashness from. These are the students that actually speak or sing. The ensemble of Square Kids can be a large as needed. 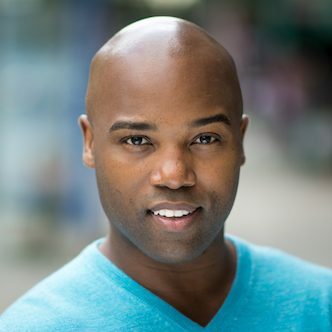 GABBY SQUARE: (featured) Penelope's best friend. 4th grader. KIMMY SQUARE: (featured) Penelope's other best friend. 4th grader.